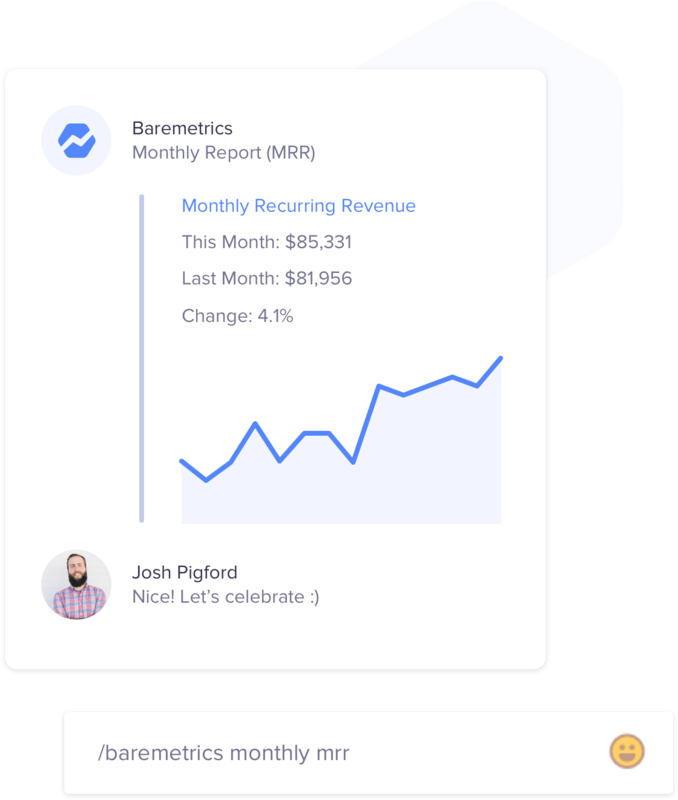 Send important updates from Baremetrics to your team’s Slack channels. Get daily, weekly, or monthly reports. Want to stay updated without getting inundated with messages all day? Customize which reports you want to receive, and how often. 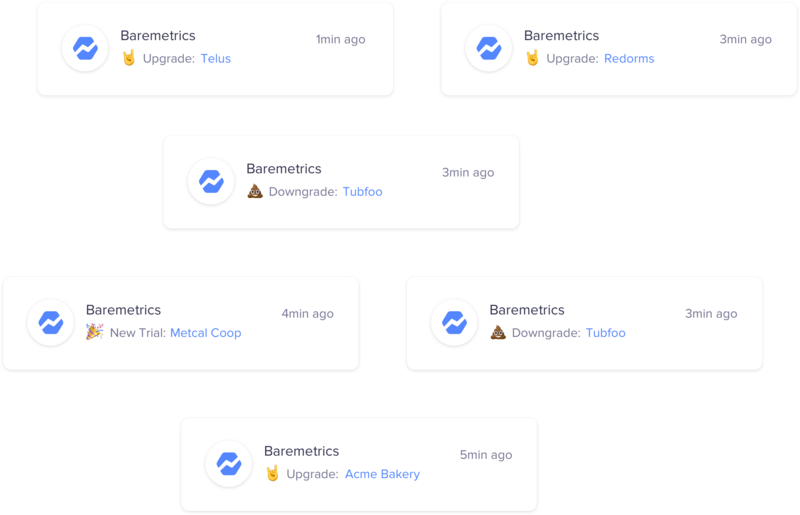 On demand notifications for every event. Are you the kind of person that wants to know what's going on at the very moment it happens? 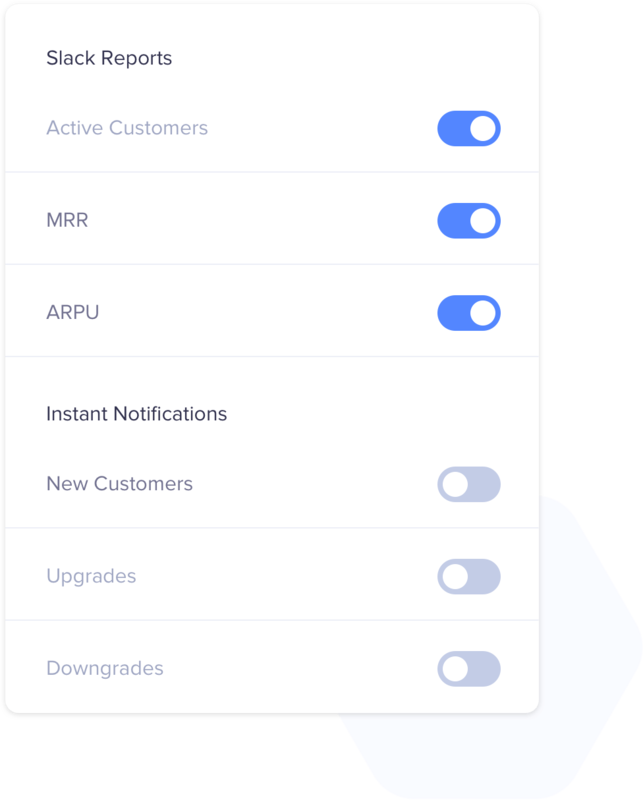 Create instant notifications for important key events such as when a customer downgrades or cancels their account. Useful commands without leaving Slack. 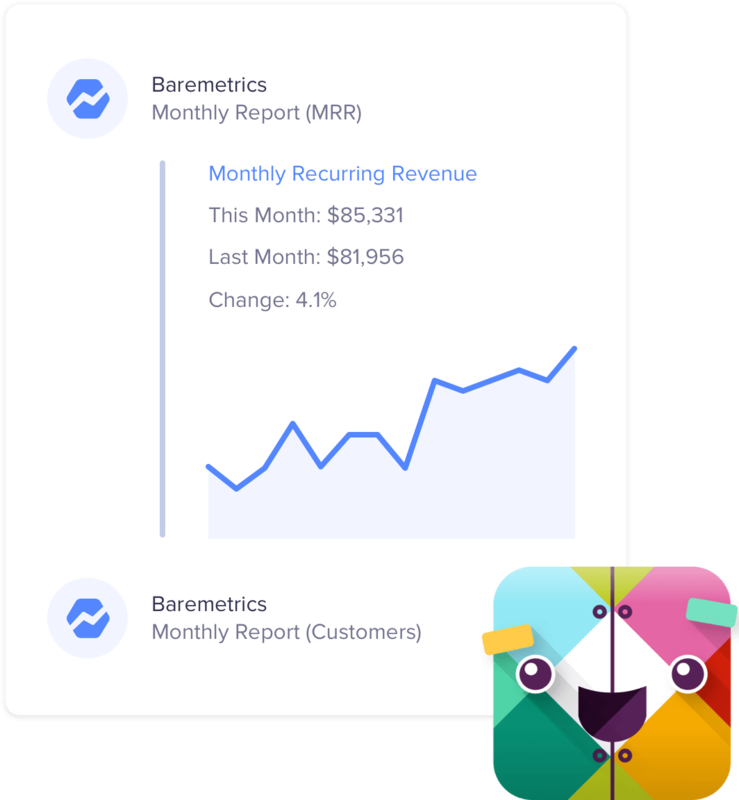 Simply use the /baremetrics backslash command inside Slack and get access to on demand reports whenever you want them from all of your devices. See all the ways we can help your company grow. One single view to rule them all.